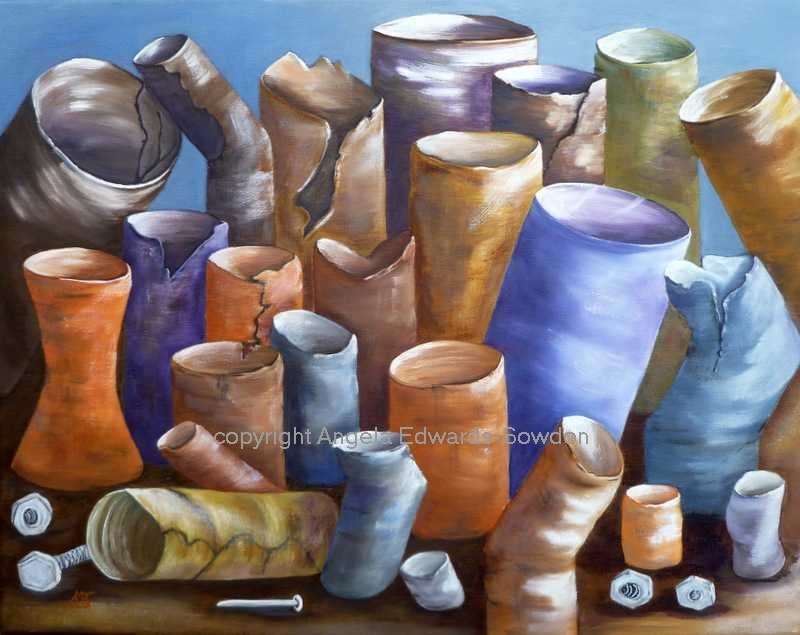 A Still life painting of a collection of cracked pipes, Nut and bits & bobs. Painted in a traditional style, oil on canvas 16 x 20 Framed in a modern Steel tone frame. This was painting was Judged and accepted into the Weston Park Fine Arts Exhibition 2013. For UK postage is free, for all other non UK destinations please request cost before purchase. Cracked Pipes & Nuts available as a card 5 x 7 inches, with envelope & Cello Wrap. Free Post UK ONLY.